4) A punk band from Orange County, California 1) Saigon (born Brian Carenard, 1978) is an African-American rapper. Born in Newburgh, New York, He spent his upbringing moving between immediate and extended family members in Spring Valley, New York and Brooklyn as well as parts of New Jersey and Virginia. 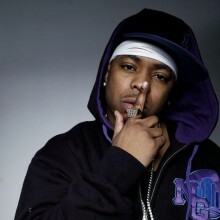 1) Saigon (born Brian Carenard, 1978) is an African-American rapper. Born in Newburgh, New York, He spent his upbringing moving between immediate and extended family members in Spring Valley, New York and Brooklyn as well as parts of New Jersey and Virginia. He cites his mother's inattention towards him due to the new arrival of numerous younger siblings as being the catalyst for his roughly 15-year rebellious period. At age 11 he began selling marijuana and at age 13 he had joined in a neighborhood gang. By the time Saigon reached 15 he had already been involved in at least two shootings for which he received jail time. This would be his home for the majority of the next several years of his life as he was "raised" in the New York Penal System. While incarcerated, he took the stage name Saigon from the influential Vietnam War book Bloods by Wallace Terry, which he read while he was serving time in prison. Dear venerators if you are reading this, you clicked on the page of the recording artist saigon in our eLyricsWorld. Our database has data about 52389 artists throughout the world also 829824 songs 153 of which are from saigon. Besides the the biography of the artist, on this page you can see short piece of information about them, enlists date of birth, genre, record label Be aware all the events with saigon by adding RSS feed. If you prefer you could directly visit the address you are on currently and check out news and latest songs about the singer.